Spring is in the air, and this time each year, I think of those who are grieving and anticipating the hope that only Spring can bring! 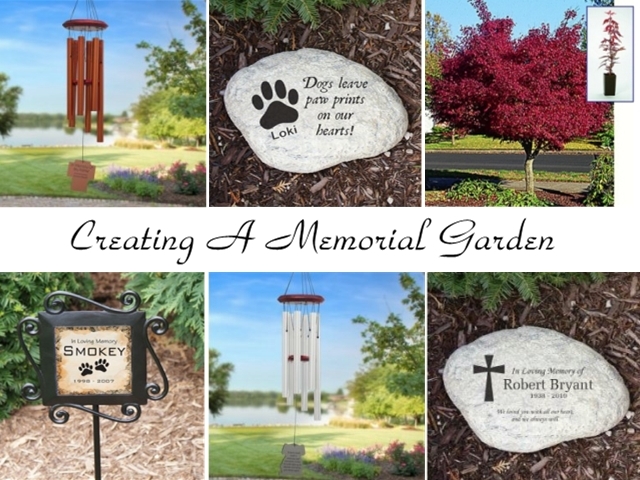 I always encourage anyone who has lost a loved one, or a treasured pet, to consider creating a Memorial Garden in their backyard. This is not only a great idea for just about anyone, but children can find so much peace having their own space to reflect on their memories. Children also love coming up with ideas and actually participating in the process of planting a Memorial Garden. 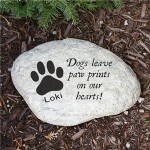 Memorial Garden Stones come in many different shapes, sizes and price ranges. They can be personalized with a name or sentiment. 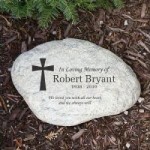 These Memorial Garden Stones can be added to an existing garden or landscape creating a subtle sentiment. Also, Memorial Garden Benches are becoming increasingly popular as they are incredibly functional and can be engraved with a personal sentiment. Personalized Memorial Wind Chimes offer a beautiful sound along with an inscribed personal message. As with the memorial stones, these can also be added to an existing garden or are well suited to hang on a front or back porch. Memorial Wind Chimes are my personal favorite, as I’m hard pressed to come up with a more soothing memorial. I hope you found some inspiration to get started on your Memorial Garden this spring! Finding a Sympathy Gift for someone who has lost a loved one, or searching for the perfect Memorial Gift Idea for yourself, takes some time. Often we desire to find something that is meaningful and personal. Remember Me Gift Boutique desires to offer gifts that aid in the healing process and also serve as a beautiful memorial item. One of our favorite recommendations is our Personalized Wind Chimes. We offer many different options for personalization from adding a photo to displaying an Inspirational Bible Verse Quote. 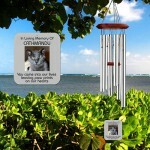 The beautiful sound of these Personalized Wind Chimes will bring much comfort to those grieving. With each gentle breeze, our loved one’s memory will come to mind. Please visit our selection of Personalized Wind Chimes at Remember Me. As always, if you are searching for a meaningful Memorial Gift Idea, please contact us directly. As adults, the loss of a pet is extremely difficult. What makes matter worse is watching our children grieve over this loss. It’s often their first lesson in dealing with grief and the healing process. Creating a memorial garden does not have to be complicated, at all. 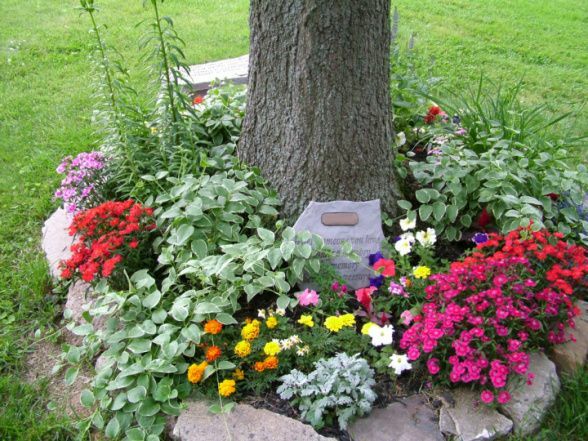 It can be as simple as displaying a pet memorial stone in an area of your garden surrounded by seasonal flowers with a Memorial Tree. 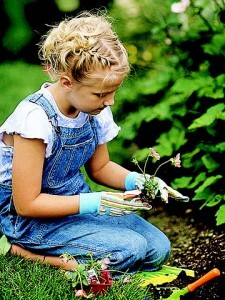 Having your child help with the design of the memorial garden will help with the healing process. Allow them to pick out the flowers and help plant them. Let them know that this is their special area. Creating a Memorial Garden Just in Time for Spring! Just imagine creating a special place to remember and heal from the loss of a loved one. A memorial garden is just the place to bring comfort to a grieving soul. The garden can be as large or as small as you would like. Whether you are planting a memory tree or a flowerbed filled with different flowers, the memorial garden is limited to your imagination, space restrictions and budget. When selecting flowers for your memorial garden, consider selecting plants that have a specific meaning. For example, forget-me-nots and rosemary both represent memories, and poppies are considered the flowers for rest or eternal sleep. Perhaps the individual you are remembering had a favorite flower such as roses. You can plant a rose bush in their honor. 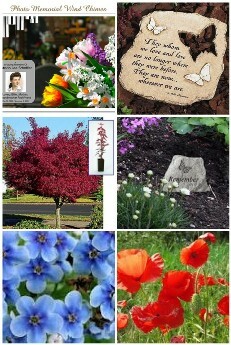 A nice addition to any memorial garden is a memorial garden stone. These stones can be as simple as the individual’s name and at rest date, or a stone that has a beautiful scripture passage or message. If your garden is large enough, you might consider adding both types of memorial garden stones and bordering them with seasonal flowers. The quite, soothing sound of wind chimes is another comforting element to add to your memorial garden. Personalized wind chimes can be designed with your loved one’s picture, your personal thoughts, or appropriate bible verses. There are even wind chimes available that can hold a small portion of cremains. 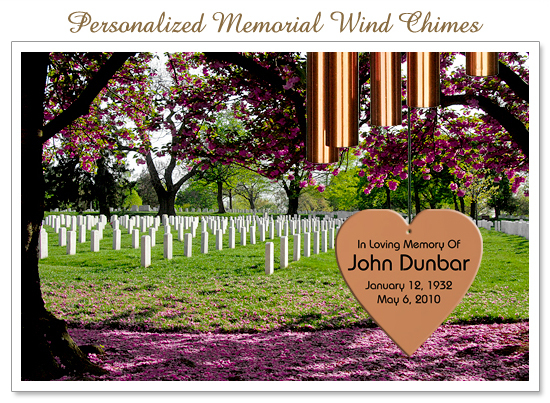 The wind chime’s sound will be heard from any area of your backyard bringing remembrance and comfort even outside of the memorial garden. Spring is in the air, and it is the perfect time to consider adding this memorial garden to your backyard landscape. What a beautiful long-lasting tribute to any loved one who has passed away.